When I saw this guy, I thought he was an adult female. When processing, I realized his beak was black, not orange like a female would be. He is also not in the colors of an adult in eclipse plumage. 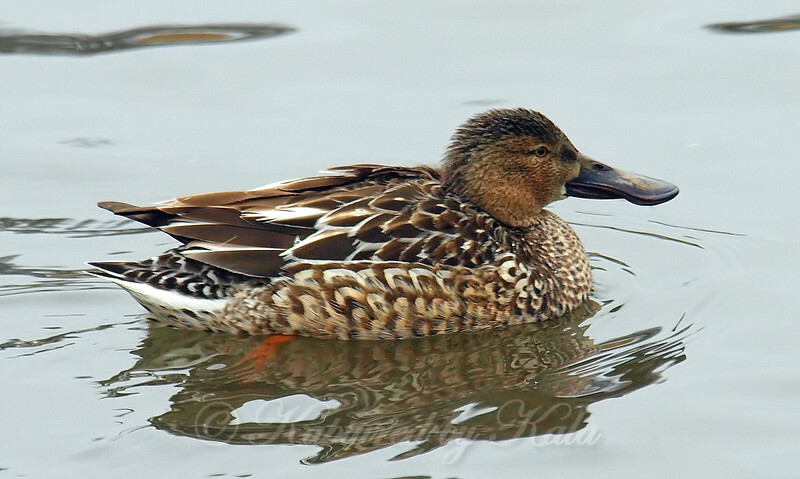 So, this is my first juvenile male shoveler. At this stage they are referred to as a first cycle male.